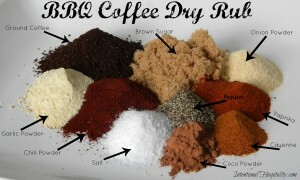 BBQ Coffee Dry Rub is the perfect rub for kicking up your chicken, beef or pork. It infuses your taste buds with a sweet slightly nutty flavor and can be kicked up with some heat if you double up on the cayenne pepper. This is a great recipe to prepare in large batches. Make some cute name tags, tie some twine around a container and you will have a unique and flavorful gift for someone. This is a really easy recipe to make. Just gather the ingredients and place in an airtight container. 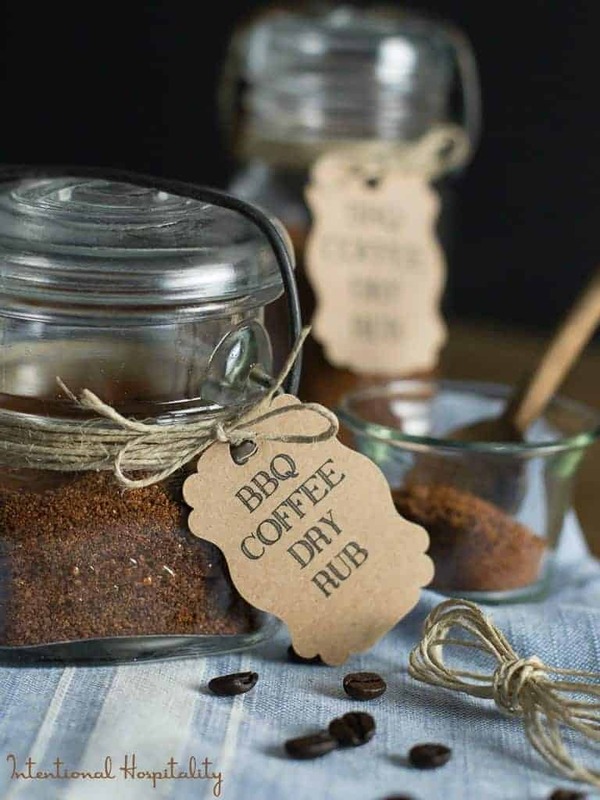 Your rub will remain fresh for months and it’s perfect for quick summer suppers on the grill. 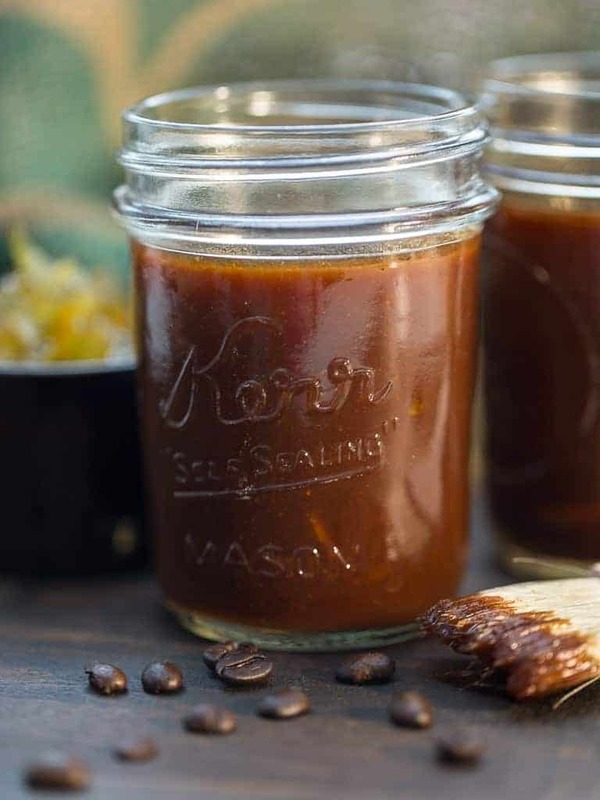 If you like cooking with coffee be sure and try my Spicy Orange and Coffee BBQ Sauce. It is citrus sweet and spicy with a punch of coffee flavor which makes this Spicy Orange and Coffee BBQ Sauce jazz up all your BBQ meals. Combine all ingredients in a bowl. Whisk together until well blended. Rub 1 tablespoon per pound on your meat. Allow to set in the refrigerator for several hour. Pour any remaining rub into an air tight jar. It will remain fresh about 6 months. 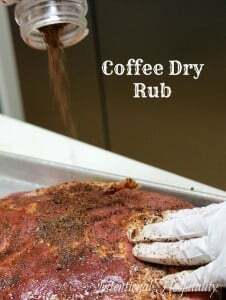 The rub is fantastic on ribs and brisket. So glad y’all enjoy this recipe. It’s one of those recipes that just sort of evolved and now has become a family favorite for us too. I want to make jars with this dry rub to give as Christmas gifts. How much of each ingredient do you put in the jar? I triple the recipe and mix it in one large bowl. Then using a funnel I fill each jar. Sometimes my jars are different sizes so this makes it easier. I also print the recipe and attach with the gift so they can make it themselves when they run out. This is AWESOME!!! THE BEST dry rub I have ever used!